The Hottest Kitchen Entrepreneur Challenge helps take inspired food and beverage business ideas out of the kitchen and make them a reality. 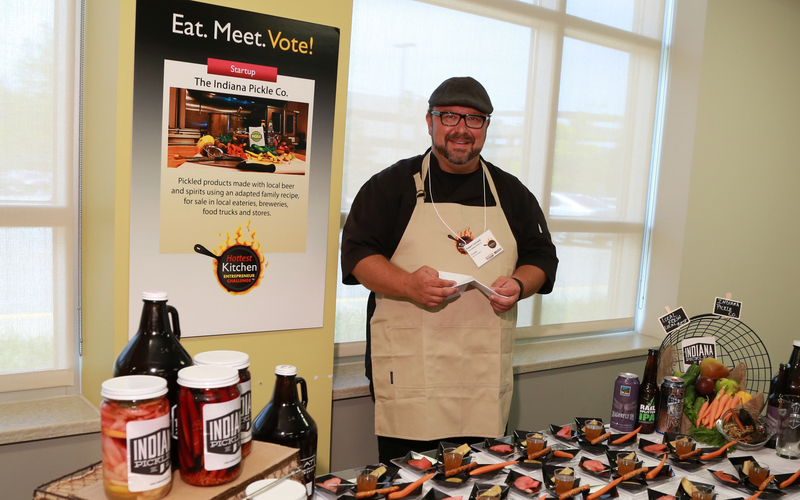 Start-up and early stage entrepreneurs compete for seed money and other valuable prizes that support their dream to launch a food or beverage business. Since 2012, the Challenge has helped aspiring entrepreneurs in Indiana and Wisconsin achieve their dream. Here’s a sampling of their success stories. Rob’s idea was to pickle products using local beer and spirits, adapted from an old family pickle recipe. He had a love of anything pickled, and as a child thought nothing was better than Mom’s pickles straight from the whiskey Barrel. Finding it hard to find pickles that came from whiskey barrels now, he started experimenting, adding a hint of whiskey to pickle recipes. Friends and family loved them. One night a friend asked if he could add a local beer flavor to a pickle, and he thought, why not? So he started to develop a recipe using beer in place of the whisky. He came up with a spicy Sun King Wee Mac pickle, a delicious pickled cucumber with the undeniable flavor of the beer. He started using other local brews, Triton Brewing Company’s IPA pickled beets, Uplands Wheat Ale pickled asparagus, New Day Sweet Cider pickles. He feels the sky is the limit with so many fine and tasty local brews to choose from, and each pickle has the flavor of the beer or spirit. 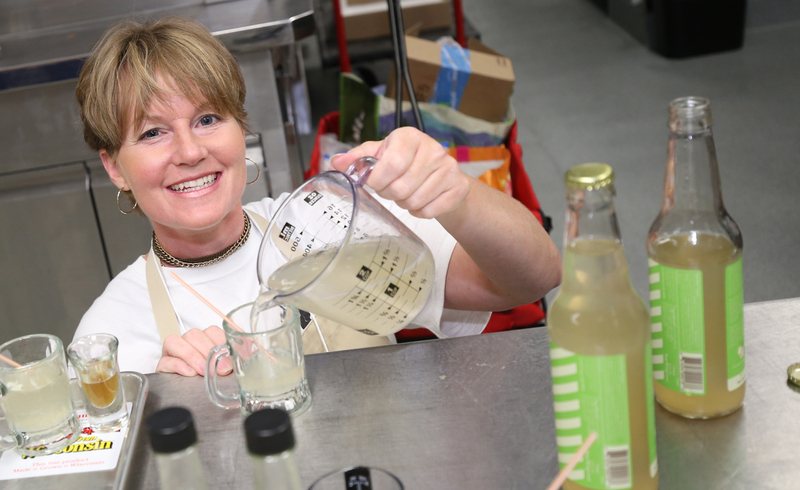 Amber Frymark’s love of culinary history led her to start her company Chowvention (aka “food invention”) where she saw an opportunity for history to be revived, and gave an ancient switchel recipe a unique, innovative twist. Popularity of the original switchel elixir from the 18th century began on the east coast. In America, switchel was not only found in the fields quenching the thirst of farmers, but also in taverns. As far as cocktail syrups go, mine can be described as “premium or gourmet.” It contains real ingredients that people can easily identify, not chemicals. I am a female wounded warrior, so this is a disabled veteran owned company. I also use people with disabilities in the production process, and like providing a paycheck and a sense of well-being. I handcrafted this recipe from scratch and am proud to use Wisconsin providers for the bulk of Zwitchel’s ingredients.